How do you feel about God's Word? 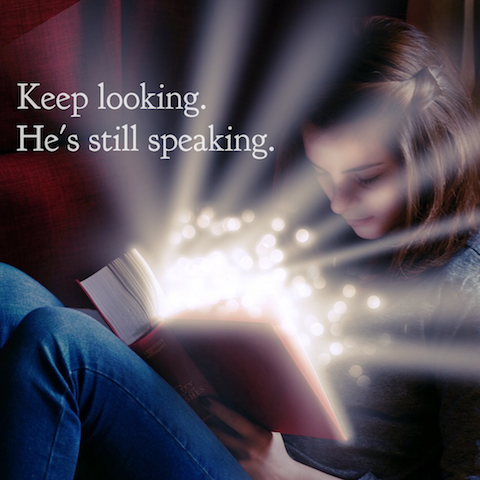 Do you sometimes struggle with having a real desire to read His Word… to keep listening faithfully to what He says? Perhaps your time in God's Word feels a bit dry or maybe confusing. You keep reading the Bible, but more out of duty than love. God is truly honored when we love Him and His words. It is does not delight God's heart when we either begrudgingly read the Bible or skip it all together. He desires that we would seek out His input, because we have learned to love His ways. We will find true life as a result of hearing and following His Word. Do you want to learn to love God's Word. Let's begin today. Read Psalm 119:131. Ask yourself, "What am I expecting to happen when I read the Bible?" Come with the right expectations and He will meet them. Come with low or no expectations, and they will most likely be met as well. So expect great things from God! When you have no appetite, food does not appeal to you. When you're not hungry for God's Word, it also does not appeal to you. The more hungry you are, the more input, nourishment and direction you will want from God. Hunger is a critical component in learning to love God's Word. 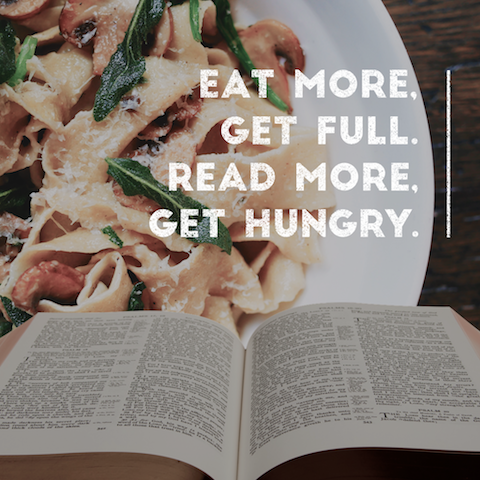 How can you increase your appetite for God's Word? How does your physical stomach grow? It grows as you eat more and more food. Actually, when you eat a lot, you expand your stomach and your capacity to eat more. The less you eat, the less you will feel like eating. It is the same with God's Word. The more of His words that you take in, the more you will desire to listen to His voice. The less you take time to listen to God through His Word, the less you will desire knowing His ways. Your very practical choice to feast on God's Word (reading it in greater and greater amounts) will result in your spiritual stomach expanding. Your appetite for God and His ways will increase. Your love for His Word will grow. This is something that you can do. You can't change your feeling of desire for God, but you can choose to increase your appetite. This will happen through regular and large doses of "feeding" on His Word. The first step to increase your appetite for God's Word is simply reading it often in large amounts. The next step is obedience to the Word. Before you walk away from reading the Bible, ask God what step of obedience He has for you. Knowledge does not show our loyalty and love to God. Obedience does. It is obedience that will greatly increase our love for God and his precious words. Are you ready to increase your appetite? Begin today. One reason we can find it difficult to love God's Word is that we don't realize what it does. The Bible is unlike any other book. How is it different? It is alive… it speaks directly into our lives today. How is this possible? The Holy Spirit takes God's perfect Word and applies it into our unique situation right now. God has spoken through His Word, and He still speaks through the Holy Spirit. The Word of God is like a sharp sword. It brings clear truth into our lives, dividing between right and wrong. His Word goes deep into the core of our being, as it searches our motivations and patterns of thinking. It is His words alone that bring real transformation. He alone is able to penetrate past our excuses, the lies and confusion. 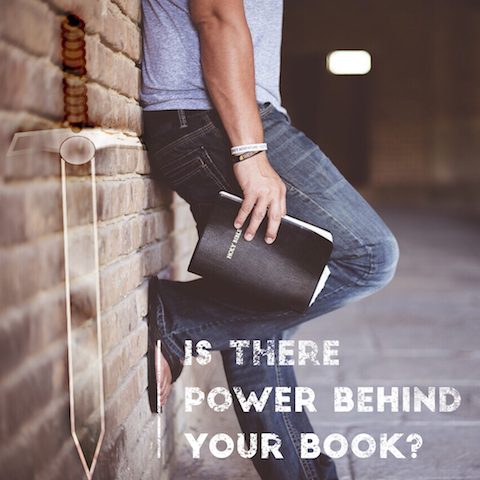 Will you open your life up to the convicting and transforming work of God's Word? If you knew that there was one book that had the secret to transform your life for the best, wouldn't you want to read it? Don't run from the sword. Run to it. 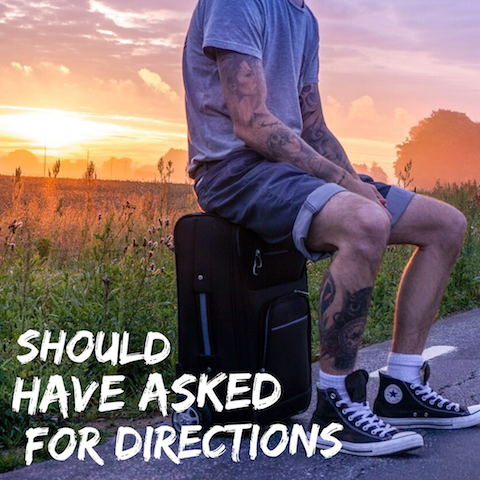 Have you ever been frustrated by unclear directions? GPS signal lost, Google maps playing up? This can be pretty common. But there is a confusion that brings heaviness and stress. We can feel very insecure when we don't know our clear boundaries. We need our Father's loving boundaries to be safe and know real freedom. It is his boundaries, or commands, that actually brings joy to our hearts. The Father does not toy with us. He does not leave us guessing. His specific directions take us right where we need to go. We can learn to love the safety that the Father's commands bring. Don't be fooled with the thought that no boundaries brings freedom. Independence actually brings heaviness and insecurity. Find God's clear directions in His Word. It's all laid out for you. All the insights for living are found there. 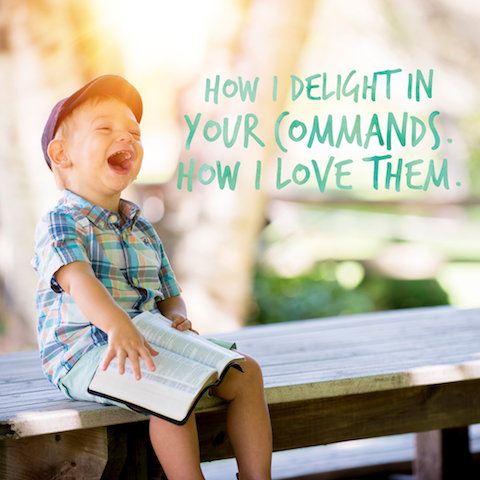 As you read the Bible today, find a command that God speaks and thank him for it. Then, follow his directions. 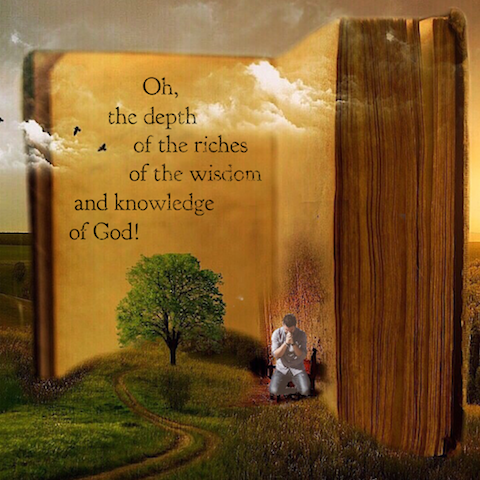 The thrill of the hunt, the joy of finding buried treasure can be yours as you dig into God's Word. Some truths can be gleaned from the surface of the Scriptures. But other treasures must be searched for. It is to this great adventure that God calls us. We are instructed to study God's Word, not as one preparing for a test, but as one hunting for buried treasure. For surely there will be a great reward. So pause longer over certain words and phrases in the Bible. Ask more questions regarding the context and meaning of a passage. But remember - the point of all this study is to find Jesus. He is your reward. The Bible tells us to reflect on God's ways. This means to ask the question how a passage specifically applies to your life. Never leave a passage of Scripture without "reflecting," or personally responding in obedience to God's voice. Otherwise, His Word will not be alive in your life. It will just be another text book. Read Psalm 119:33-40. What treasures can you find? Will you reflect on God's personal word to you through this passage? 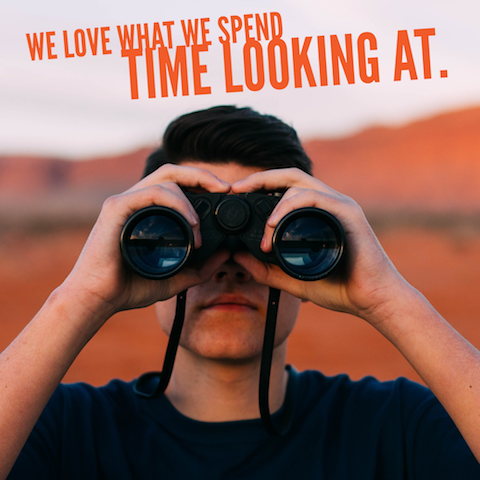 What do you spend your time looking at? We devote time gazing at what we love. The internet, tv, Netflix, social media… what catches your eye and holds your attention? The psalmist desires to turn his eyes away from worthless things. He knows that a continued gaze on worthless things will end up decaying his life. What are the worthless things that would erode your love for Jesus and his words? Sometimes, the good is the enemy of the best. Even fixing our attention on good things (studies, hobbies, ministry, news, mobile phone) can spoil our love for the best - Jesus and his words. When we spend time gazing on Jesus' words, our life is preserved. 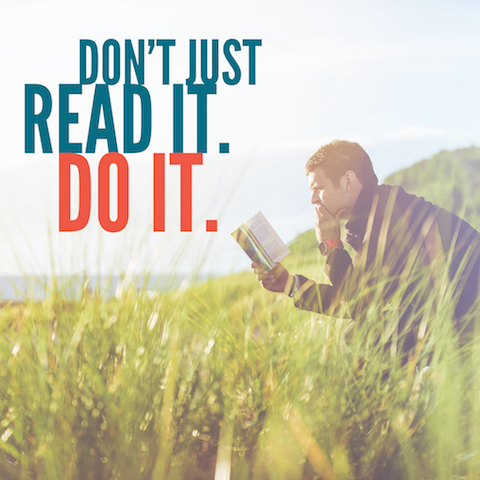 Choosing to read, reflect on and obey the Bible has amazing effects for all of life. Most importantly, it seals in (preserves) the life of Jesus within us. It is his life that brings vision, comfort, wisdom, and power to our everyday lives. What worthless things have you been giving attention to over God's Word? Make a change. Limit your gaze on "good things" and learn to love the best thing - God's Word. Good intentions only go so far. Obedience is a choice. It is an action. It is obedience that brings the Word of God alive in your life. When you obey what God says (and not just read about it), blessing is promised to you. How do you find the obedience step written in God's Word? It takes a continual intent looking… "to look intently into the perfect law that gives freedom and continue to do this…." This intent looking is literally to stoop sideways. This phrase is used in three Gospels when Peter, John and Mary stooped to look into the empty tomb. This was not a quick glance, but a peering into, getting a better view, letting the eyes adjust to the light, changing the body position to gain understanding, a determined effort not to forget what you just saw. This should be your posture when reading God's Word. Keep listening and looking until you have your obedience step from God for the day. Is there something that you've been putting off starting or completing that God has already spoken to you about? Just do it. How can you develop a love for God's Word? Chew on it. The Lord commanded Joshua to keep Scripture constantly on his lips. Think about it. Ponder it. Chew on it. This command came with a promise. If Joshua chose to obey His command of meditation, he would be prosperous and successful. Today, you can know this same prosperity and success as you obey God's command to meditate on His words. The dictionary definition of meditation can be likened to a cow chewing its cud. The cow chews its food, lets it settle, burps it up, chews again, lets it settle, burps it up, chews again…. Are you getting the picture (not a nice one :))? The idea of meditation is going over and over a passage of Scripture so that you are gaining all the "nutritional value" out of it. As you think and reflect on a Bible passage, God continues to speak to you. The world's form of meditation is an attempt to empty oneself of stress and conflicting emotions. God's way is to fill yourself with truth. This is why Bible memorization is so beneficial. As you memorize, you take God's Word with you as you go. The Holy Spirit speaks to you from His Word all throughout the day. So don't be afraid to memorize. Start small (one verse) and expand. Try it for 3 minutes every day. Start chewing on God's Word. Prosperity and success are promised to you! Why do we lose motivation in reading God's Word at times? We forget that it is actually the very words of God himself. He breathed it. It is not man-made. This sets the Bible apart from any other book. 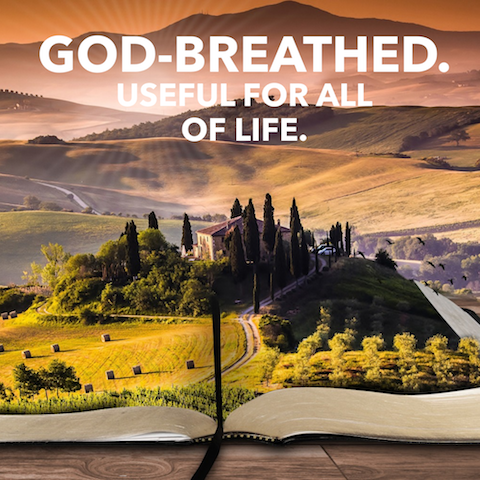 That Scripture is God-breathed has implications for your life. It should have the final say or authority over all your decisions. The Bible sets the boundaries for all of life. You may have lots of opinions and philosophies, but there is one absolute truth - the Word of God. Does the Bible have this kind of sway over your life? Or is it merely suggestive - a good read with wise sayings? Because the Bible is the very words of God, it useful for every part of life - for teaching, correcting, training in righteousness and for your equipping to do every good work. When you read and obey God's Word, you will walk in God's steps. Why do we lock away our valuables? Why do we hide precious possessions in safes and vault boxes? We don't want anyone to steal what is so valuable to us. We go to great lengths to secure our most expensive assets. Is there anything more important to you than the very words of God? To what lengths would you go to secure His words within you? We should not let people, busyness or other distractions steal away the Word of God in our lives. 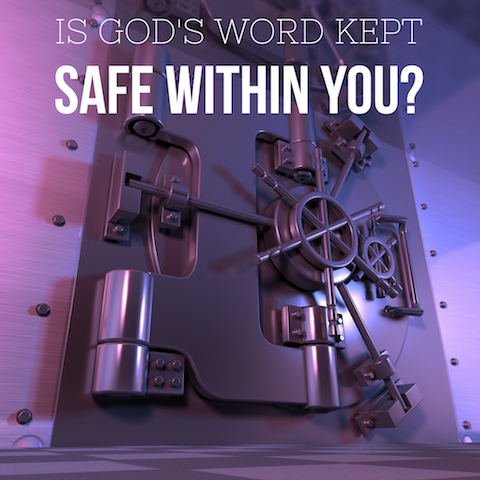 How can we "hide" or "treasure" God's Word in our hearts? Spend a minute or two each day memorizing a portion of Scripture. You can focus on different passages that relate to a similar topic. Or perhaps you can memorize a whole chapter by adding one verse each day. A good place to start is memorizing the promises of God. Begin hiding God's Word in your heart today!